Established in 2000, Campo Ma’an National Park is a protected area in southern Cameroon created as environmental compensation for the controversial Chad-Cameroon Pipeline. The 2,460km sq. park neighbors five logging concessions, and agro-industries for palm oil and rubber—all within the Campo Ma’an Operational Technical Unit. The construction of a hydroelectric dam and the Kribi industrial port complex, as well as an iron ore mining plant and railway, are considered as serious threats to the park’s wildlife. However, they also present exciting opportunities to explore the best ways to integrate biodiversity and conservation needs into Cameroon’s economic planning and infrastructure development. Campo Ma’an National Park is home to the forest elephant and pangolin—species targeted by poachers—plus mountain gorilla and chimpanzee that are hunted and trafficked illegally by communities living in the larger Campo ecosystem. With various large-scale infrastructure projects under development in the park’s buffer zones, an economic boom is on the horizon, and human settlement in zones adjacent to the park will increase fast. However, protecting the national park’s potential as a biodiversity haven and popular tourist destination is possible if authorities manage development sustainably. Since 2015, the African Wildlife Foundation has been working to build the anti-poaching capacity of the national wildlife protection authority of the park, known as the Campo Ma’an Conservation Service. 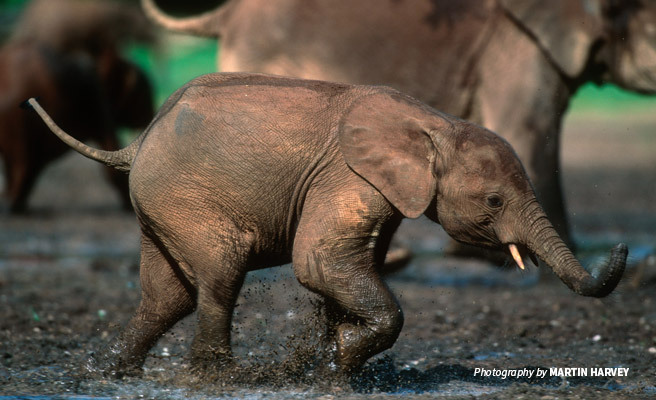 Offering both technical and financial support, AWF deployed adapted new technologies like CyberTracker and the Spatial Monitoring and Analysis Tool (SMART) plus tracking devices and ecological monitoring activities to inform management decision-making on a daily basis. 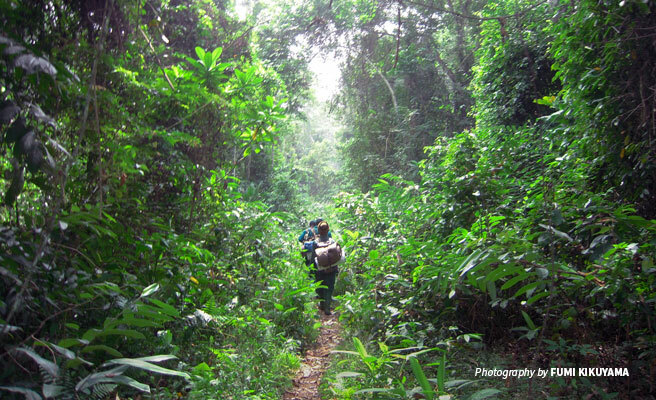 Over the years, AWF focused interventions in Niete sector and Dipikar Island, with funding from its own species grants and assistance from the Foundation for the Environment and Development of Cameroon. Reducing human pressure on the natural resources in northern part of the park (Niete, Akom II, and Ma’an sectors) is now a top priority for AWF as land use in buffer zones changes. This more comprehensive approach will permit AWF to cover all sectors in the sustainable management of the park. Mitigating emerging threats to wildlife started with training rangers and eco-guards to record sightings of flagship species and map concentrations of threats across the area. The data has informed the organization of pedestrian patrols on the Dipikar Island—where high concentrations of elephants, western lowland gorillas, and chimpanzees have been recorded—as well as river patrols along the Ntem. Armed with efficient tracking equipment including Runbo smartphones, DeLorme satellite tracking and navigation technology plus GPS, AWF-trained rangers have seized hundreds of kilograms of bushmeat, various firearms, and bullets. They also removed wildlife traps and snares as patrolling efforts heightened. With additional training in law enforcement, rangers will maintain protocol when they catch poachers and dismantle their camps. AWF’s geographic information system (GIS) laboratory helped with spatial modeling using the patrol data for identification of high threat areas and allow for adaptive management of Campo Ma’an’s conservation strategy. Additionally, advanced ecological monitoring and surveillance operations have revealed potential tourist circuits. While increased tourism to Campo Ma’an National Park would contribute to the park’s revenues and create opportunities for local communities, AWF strives to develop it in line with a national wildlife-based tourism program that enhances ecosystem conservation. Promoting the values of ecotourism, AWF is facilitating meetings between stakeholders in the tourism sector to operationalize sustainable tourism services for visitors. Managing conflicting interests in and around protected areas is not unique to Campo Ma’an National Park. As Cameroon adjusts to the recent upturn of industrial and infrastructural development, AWF’s mission is to improve community livelihoods to reduce pressure on natural resources through illegal hunting and trafficking. 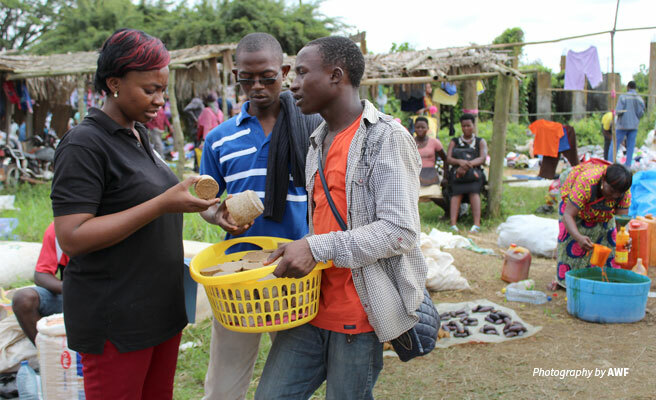 In the Niete area, AWF is planning to engage indigenous peoples in income-generating activities through the valorization of non-timber forest products such as bush mango and njansang to produce oilseeds and butters. Using the Market Analysis and Development approach of the World Food Organization developed in 2011, communities have signed Quid Pro Quos with the Conservation Service to collect non-timber forest products which are processed into food and cosmetic goods. Apart from technical training, groups also attain financial management training before meeting with similar groups in Dja Faunal Reserve as well as with potential producing and buying partners. Securing Campo Ma’an’s natural resources as the country develops requires cross-sector collaboration between the national ministries of forestry and tourism, environmental agencies and the private sector—making sure that local communities are the agents of conservation in their homes. Stéfany represents AWF as Project Officer in the Campo Ma’an National Park, where she realizes her lifelong passion for biodiversity valuation by setting up conservation enterprises with a focus on value chain development. She has an extensive research background and experience in engaging local communities in the sustainable management of natural resources in community forests.